Conference season is in full swing, and over the past month I’ve been speaking on some different panels around the topic of paid search and paid social. Paid search being traditional PPC advertising in search engines, and paid social being paid advertising in social media channels — for example, promoted YouTube videos, Facebook advertising, and promoted tweets. How do you think about paid social compared to paid search when it comes to campaign strategy? As with any strategy, it’s important is to be clear from the start as to what it is you are trying to achieve. Paid search and paid social are complementary, but whilst paid search can successfully span all stages of the marketing funnel, when it comes to paid social, I’ve often seen better success for campaigns specifically focused in the learning phase. With traditional paid search you can land certain searchers who show buying-intent through their keyword query, directly on a sales-related or e-commerce pages and look to convert these people quite successfully. That’s a lot more difficult to do well with paid social, simply due to the nature of social media. With paid social you often find that it takes several more steps, across several different channels before people are ready to buy, so that’s something that needs to be taken into account when putting together your campaign and overall program strategy. 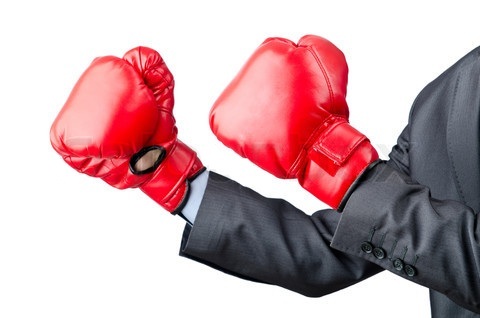 What have you found to be the major differences or strengths of each marketing discipline? In addition to the funnel differences, there are also differences when it comes to intent and level of targeting. When someone is using a search engine, you know they are on a mission to find something — so target your ad right for that person who is actively looking for an answer, and you will see very healthy results. The real power comes when you combine all of these factors together; that is where you can start to get really creative. If your company has developed clear customer personas, then paid social can make a great targeting tool. What do you think about the future of social media results appearing on the search engine results page? We’ve been talking about the relationship between search marketing and social media for a while, but only now are things starting to get really interesting. It is difficult to think about social results appearing in search engines, without thinking about Google Plus. With the release of Google’s Search Plus Your World, we are starting to see a much stronger convergence between search marketing and social media because an individual’s results are greatly influenced by their social circles. I think this will have a number of implications moving forward. Despite level of popularity right now, I do think it is important to get your business on Google Plus and make sure it is connected to your website, particularly with the emphasis Google is putting on G+ as a social search signal. Content has always been important where SEO is concerned, but as social signals start to play a more important role, we need to make sure that the content we develop is not only relevant but also worthy of being shared and liked. With this in mind, social SEO and social influence is becoming the new linkbuilding. With Search Plus Your World, the online experiences of your social connections are more relevant to your personal search results than factors like links and domain authority. And of course, all of this makes measurement a lot more challenging. What appears as the number one organic rank for one person, may not rank at all for someone else, depending upon their social circles. Add to that all the issues around data privacy and personalized results and you potentially end up with a lack of data and insights for your programs.